We have our bold predictions game.. but just for fun. What are some of your not so bold predictions for the 2019 season? Things that are pretty likely to happen but would still make you feel good about being right. That you'll grow up? Oh wait. What? I'm grown.. What's wrong with some pre season predictions? For me, reading predictions of upcoming seasons is one of the best NASCAR related things to do online in the off season. Hell that's the reason I ever found this forum in the first place. Damn slice ya wake up on the wrong side of the bed or what? ..then drove 40 minutes to work only to get sent home because everything is covered in ice. 36 point races will be run. Some will be delayed by rain, some will go G-W-C. They'll be won by a mix of Fords, Chevys, and Toyotas. Joker, Elliott_Fan_9, ToyYoda and 2 others like this. Mike Crayne, Joker, Greg and 4 others like this. Notice that's three separate predictions. I understand that makes a big impression at the end of the season when we vote for the Not So Bold title. Y'all are going to have a hard time coming up with predictions more Not So Bold than those. One used to be confident in making the not-so bold prediction that every race will be won by the guy that crosses the finish line first. What with the impact that post race inspections are expected to have, not sure if that's true anymore. Team Penske, Joker, Greg and 3 others like this. People will b!tch about the Fox coverage, then b!tch even more when the NBC coverage starts and pine for the days of Fox. gnomesayin, Team Penske, StandOnIt and 3 others like this. Kyle Busch will throw a hissy fit. Joker and Elliott_Fan_9 like this. Chase Elliott will capture checkered flags and people will continue to eat their foot. Joker, kkfan91, Get That 88 Up There !! and 3 others like this. 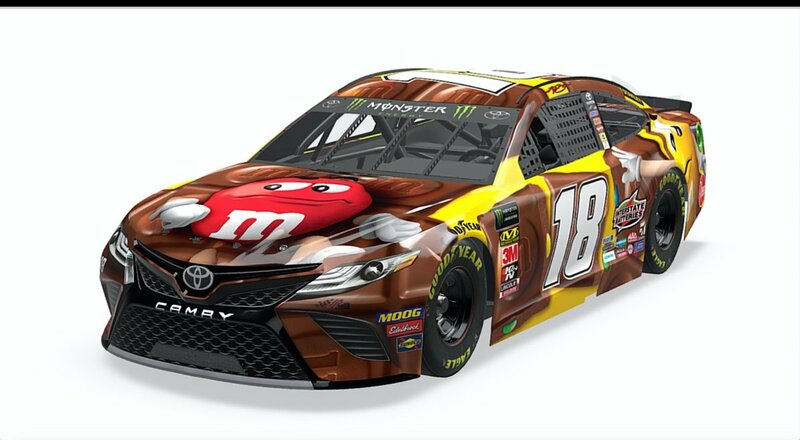 Ugliest paint scheme on the track in over 75% of the races it runs. NOT BOLD. Larson gets ten 'dubs and a ship' this year. Kurt Busch will rant/yell profanities over the radio in disgust of the car. No, but I wouldn't have understood any less if you had. Kyle Busch will continue to live rent-free in some people's heads. Personally I couldn’t care less about Kyle. I was just being sarcastic. Went with this to **** with OSS. Savage. Rodney Childers will claim no performance advantage at least a dozen times. Kyle Busch will pick his nose and drop the mic! Harvick wins 10 of those and the title. Suarez, Bowyer & Almirola each win 2 races. Chase Elliot wins 6 races & makes the final four. Ten wins and a championship? Every race will be watched by someone on Racing Forums. Joker and IanMcVittie like this. I'm on it! Just to cancel you out! Brentford, Charlie Spencer and Joker like this. Dale Jr will be talked over by the bleeting sheep.